High Times: Did Kamala Harris Pot Story Just Go Up In Smoke? This may seem petty, but if she was smoking in the 90's, it means she was throwing poor and brown kids into jail on drug charges, then going home to break the same laws herself. That's not just unfair, it's unethical professional conduct for a prosecutor. It merits scrutiny.
.@KamalaHarris was throwing people in jail for pot while smoking pot. Maybe she thinks she gets Hillary Clinton immunity now that she is running for office? And as many have pointed out, the timeline is screwed here. Tupac and Snoop’s first albums came out in 1991 and 1993 respectfully. Harris graduated in 1986. Did she lie? 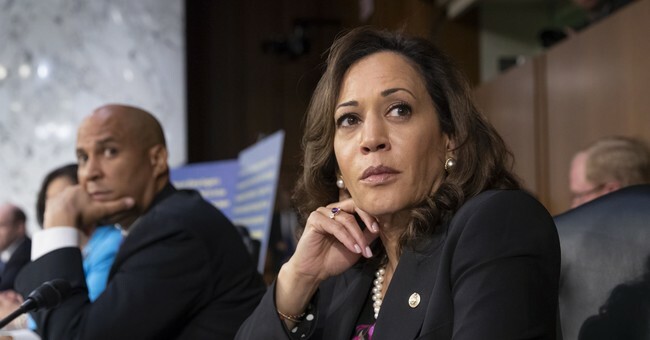 By this fact, Harris was smoking weed while working in the district attorney’s office in Alameda County. At the time, she was regarded as an anti-marijuana crusader, which she maintained throughout her career in the state, all the way up to when she occupied the state attorney general’s office. So, she pandered or she was toking up while also jailing people for using marijuana. This won’t impact her campaign in the sense of derailing it, but it does give her Democratic opponents more ammunition to label her a hypocrite (possibly), inauthentic, and someone who can’t be trusted, among other things. She flubbed a marijuana story. Like, c’mon! It looks like this story is going up in smoke.